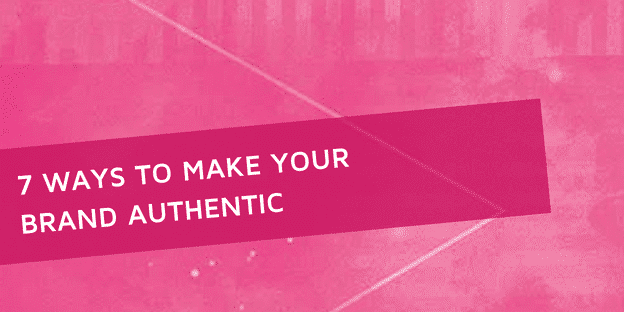 Authenticity is a key part of any successful brand. This can mean different things for different companies, but at a core level, it means that your customers and the wider public trust your message and trust you to stand by your stated values. This is number one for a reason. There is only one of you, everyone else is already taken. So don’t be afraid to be visible and really put yourself out there. 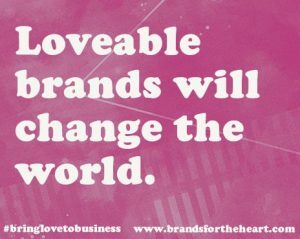 Remember, as the Founder for your business you are the brand first and foremost. If you’re a one-woman/man show, that’s okay. Embrace that fact and make it work for you. If you have a team in place, your team is your brand, and don’t be afraid to showcase to the world what makes your team members so special. Transparency about your lifestyle, photos of you and your team members can work wonders, and the less boring, the better. Images are especially effective, because they put a face on the interactions your community will have with your brand and they tell stories about who you are and what you stand. The more relatable you and your team feel to potential clients, the more like, know and trust factor you’ll build with your community. Then get even more intimate by making sure you’re available. Respond to calls and emails as quickly as possible and with a human touch. Social media tools – such as Facebook Live – are very powerful because they enable you to take intimacy and authenticity to another level, allowing you to be seen without all of the polishing, lighting and scripts. Take advantage! And never forget to be true to who you really are while doing so. Jesse Elder does a fantastic job of really putting himself out there by showing up authentically and uses Facebook Live as a means to communicate with his tribe. The best way to show who you are is to share stories from your own life and your own experiences. Personal stories are relatable and they help you build rapport with your audience. Your stories will help forge an emotional connection between your brand and your community. While it might feel nice to tell people about that one time you did something awesome, it’s always the struggles that really grabs people’s attention. Share your struggles, your imperfect path, because ultimately there is strength in vulnerability, and that resonates with people. Share your vulnerable stories, people gravitate towards the reluctant leader rather than a narcissistic perfectionist. Don’t know where to begin? Try Facebook Live. There are no do-overs, so once you go live, you’re out there in an authentic way, completely vulnerable in your own skin. When did you have a challenge about the topic you support others with, how did you handle it, what was the result? What are your fears and insecurities about the topic you support others with? How are you overcoming that fear daily? Why did you start your business? Why are you so passionate about what you do? What’s your ultimate vision for your business? What impact are you hoping to make? What are you doing today to make steps towards your vision? The underlying goal is for people to feel that your brand has relevance to their lives and encourage them to take part in your evolving brand story. A manifesto is a calling card for your community that inspires them to join a movement that both individually impacts them but is also bigger than themselves. It becomes a guidepost that inspires your audience to feel connected to your business because it’s about far more than selling your product or service. A manifesto is a powerful application to share with your growing community to quickly and clearly convey the future you are calling them to step up and join you in creating. It taps into a deep seated emotion and appeals to your audiences highest nature. Soul Cycle – An exercise community that is committed to bring love and joy to cycling. Watch the video here. One More Woman – A current client from the brandsfortheheart.com, One More Woman supports women entrepreneurs in owning their worth, scaling their business beyond $1 million, and making a positive impact on the world. Check out their manifesto here. Your marketing should always be aligned with your brand values and the stories that give your brand its personality. There are few things as bad for a brand as claims about products and services which fail to live up to their promise for customers. Negative feedback and ill will can severely damage a brand’s reputation. To avoid this pitfall, first and foremost, you always want to stay true to your values, even if this requires making courageous decision affecting profits or personnel. Second, you want to ensure clarity in a brand’s messaging so that people know what to expect. Third, you want to deliver on that expectation. Let’s state the obvious: boring is bad. Use photos and video to spice up your brand’s marketing strategies. Share funny or quirky stories about your day. Heck, why not hire a comedian to help you to create something that could even go viral. For some great examples of authentic and entertaining, click here and here. Let’s move into a little more creative territory. Creating your own on-brand, authentic language will draw in your community and endear them to your brand. Of course, this only works if others want to use this new language, and that’s where it gets tricky. Experiment with words and phrases to see what works. Perhaps throw an idea out there and ask your community for suggestions. Even make a contest out of it. The most important thing to remember is that your brand centers around one big idea and to come up with language that centers around that core theme. Archangel Academy is an excellent example of a community that has created it’s own language that centers around the core theme of their brand: Angels. The annual Mastermind events for the past 3 years have been held in L.A. because it’s the City of Angels. The community is called Archangel. The people in the community are called Angels. The weekly meetings are called Choirstorms. Creating a community – whether local or global – is an integral part of becoming an authentic brand. People want to be part of something that they enjoy and trust. One quick way to jumpstart your community building? Name it! Lady Gaga calls her tribe “Little Monsters” and a client of ours, a children’s mission based shoe brand, Livie and Luca, calls their audience Sole Mates. It’s a clever play on words since the company sells shoes that are designed to bring joy into children and parent’s lives. Asking your community for feedback is a great way to get started on naming your tribe. Authenticity requires bravery. It takes a vision, ongoing commitment to your values, and alignment with your community. Follow these 7 Steps and you’ll be on your way.